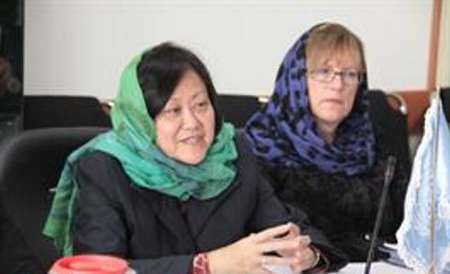 Tehran, Nov 4, IRNA – UNHCR senior official Janet Lim here on Monday praised Iran’s efforts to render medical and sanitary services to Afghan refugees. Ms Lim who is Special Assistance at United Nations High Commissioner for Refugees (UNHCR) made the remarks in a meeting with deputy health minister Ali-Akbar Sayyari in Tehran. Welcoming the return of Afghan refugees to their homeland, the UN official appreciated Iran for facilitating the move.